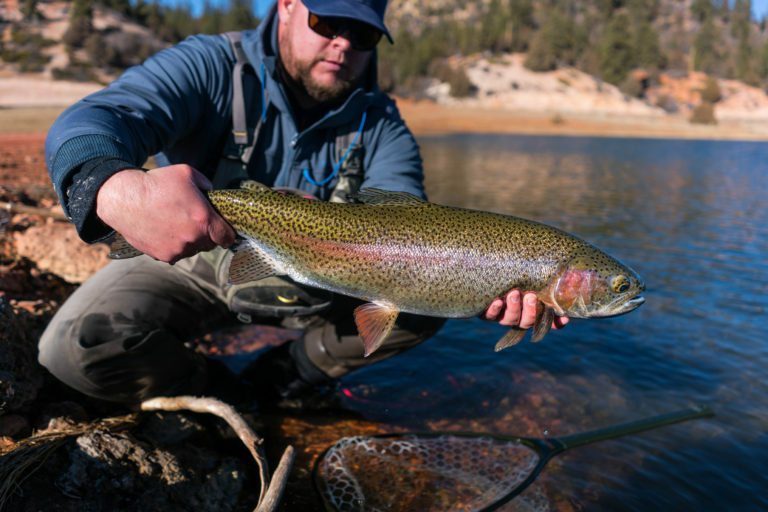 Do you want to tangle with big trophy trout? 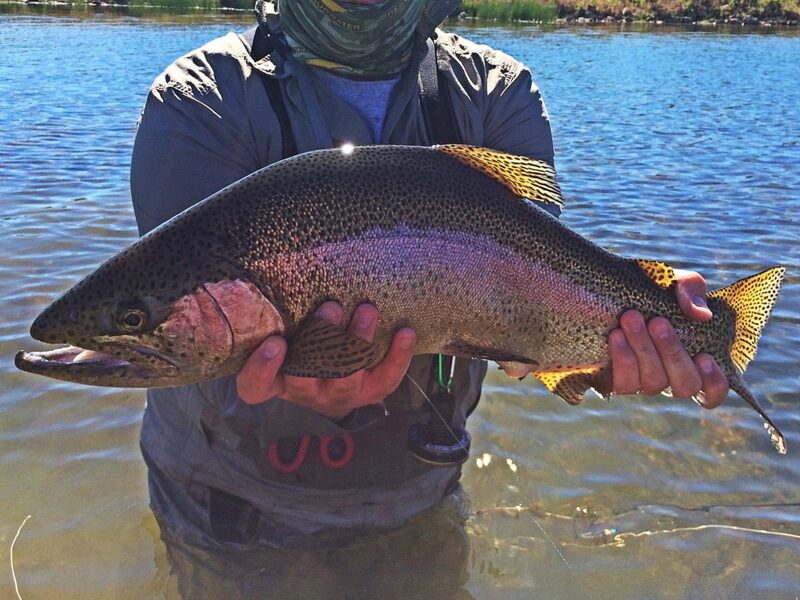 Want to catch a fish over 10 pounds? 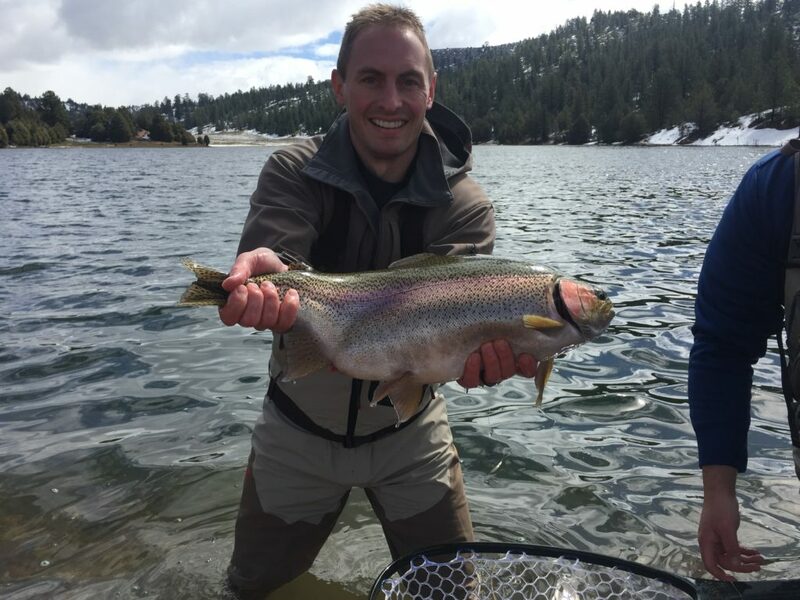 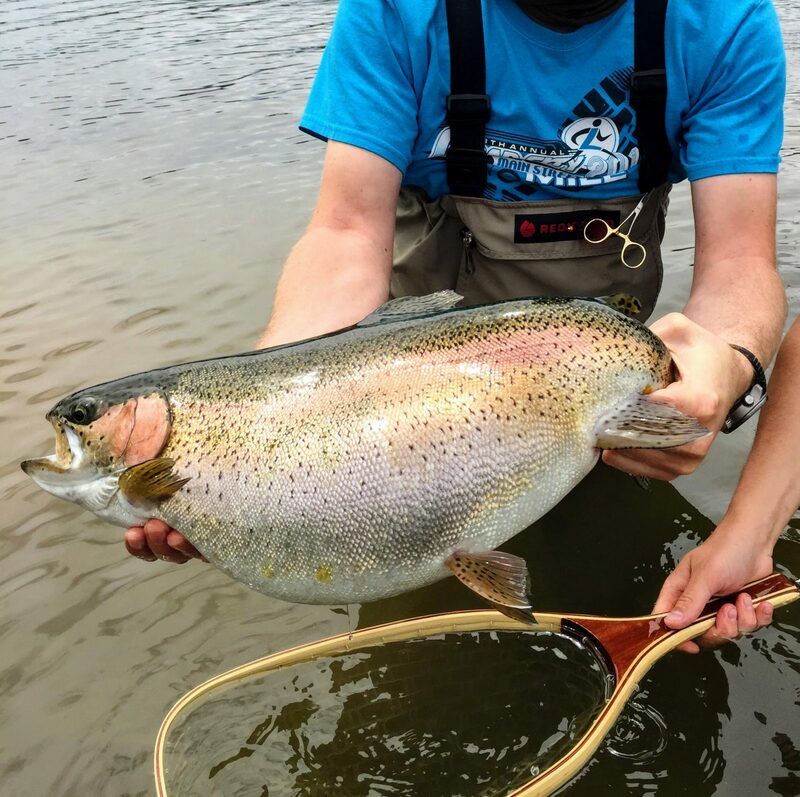 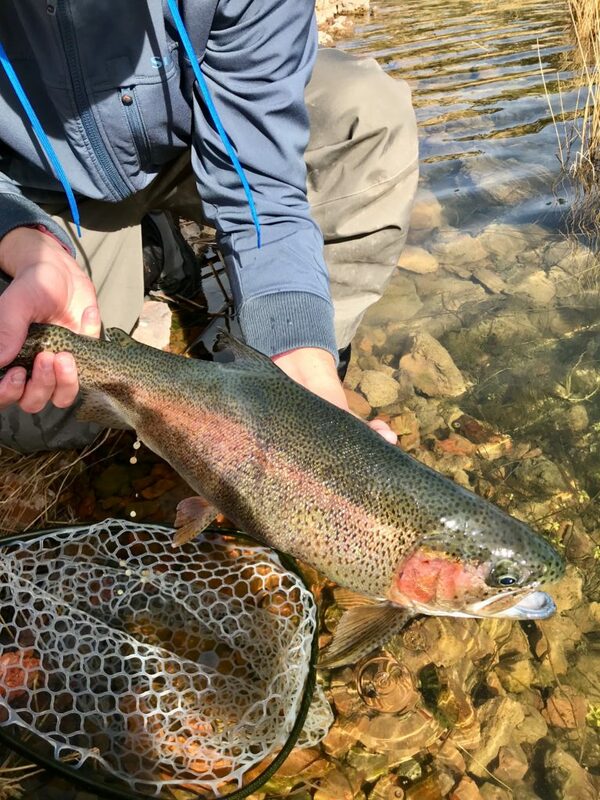 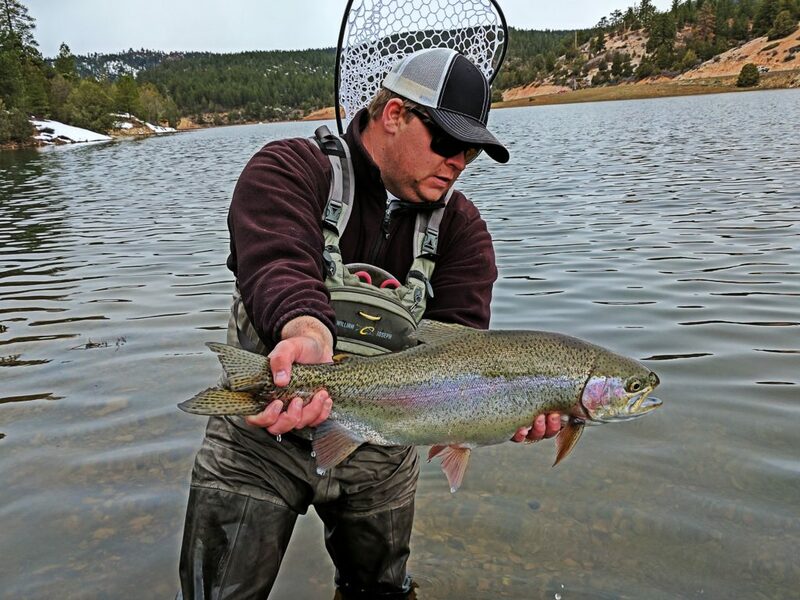 Our private trophy trout lake gives you the best opportunity to do so! 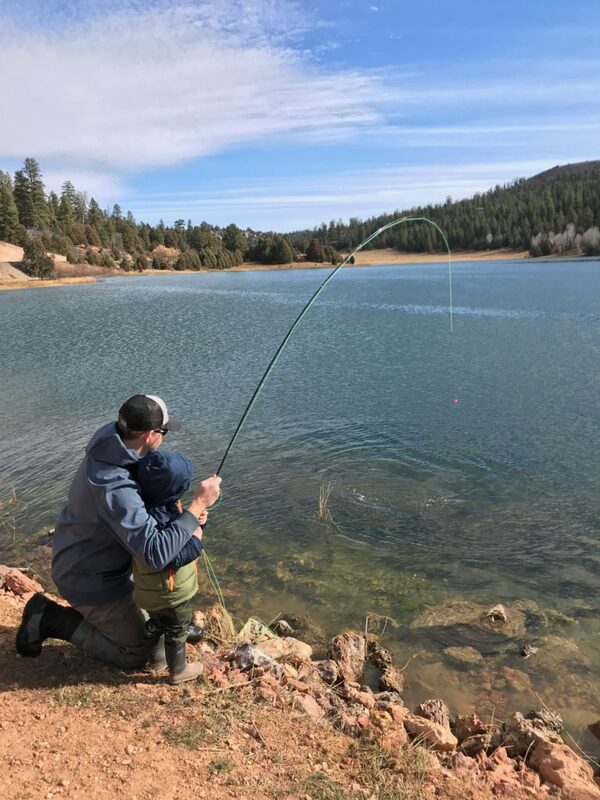 When we first started fishing this lake the trout would break our 6 pound test line and we quickly learned that 10 pound test (3x, or bigger) was the best way to land these fish. 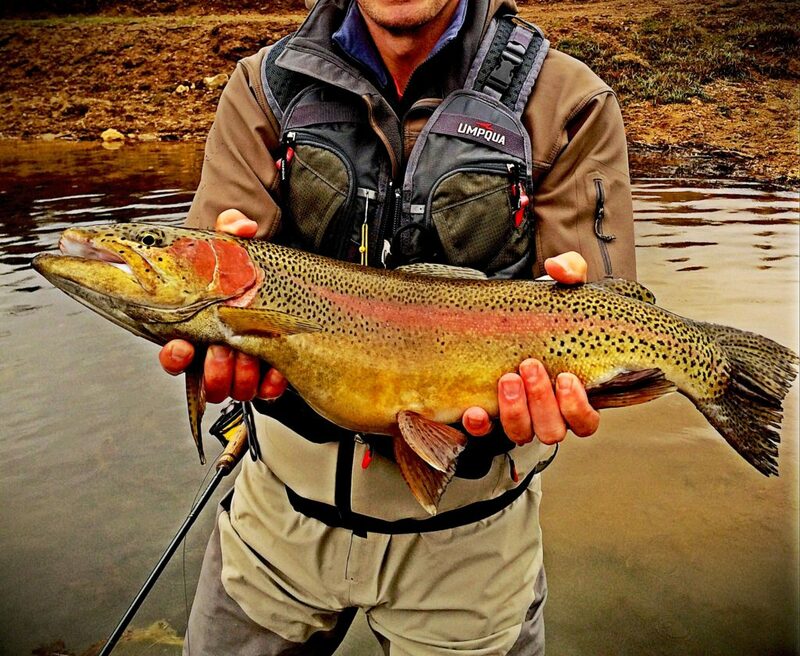 They are not lightweights or for the faint of heart! 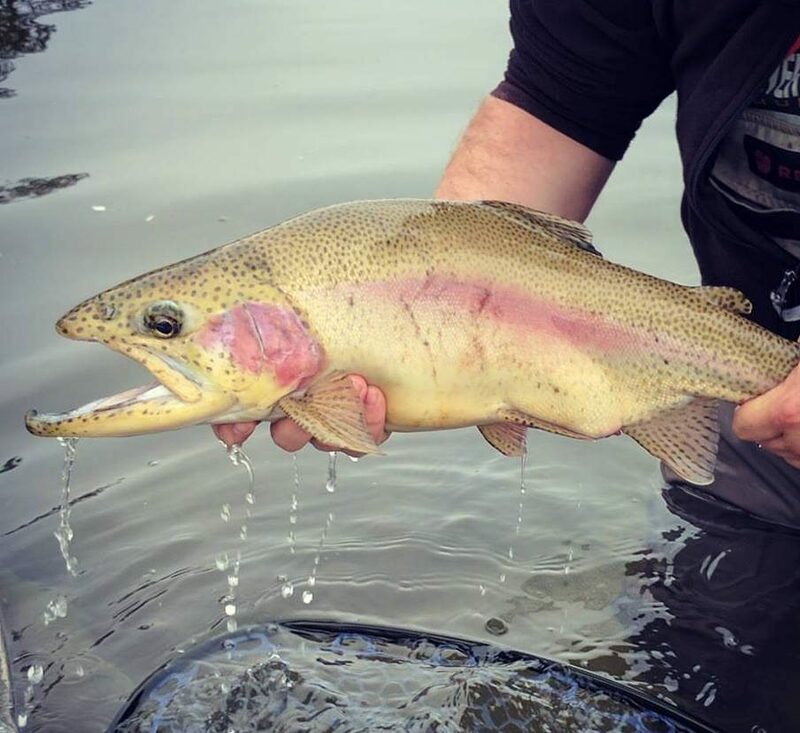 Be prepared, just because these fish are on private water does not mean they are easy to catch. 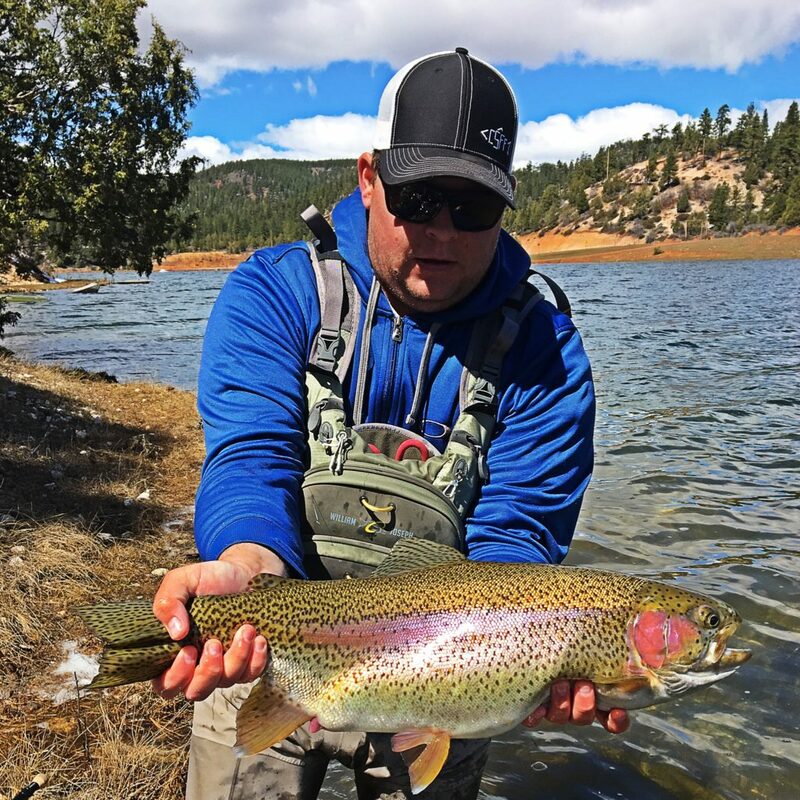 These fish make you work for them, so bring your A game!! 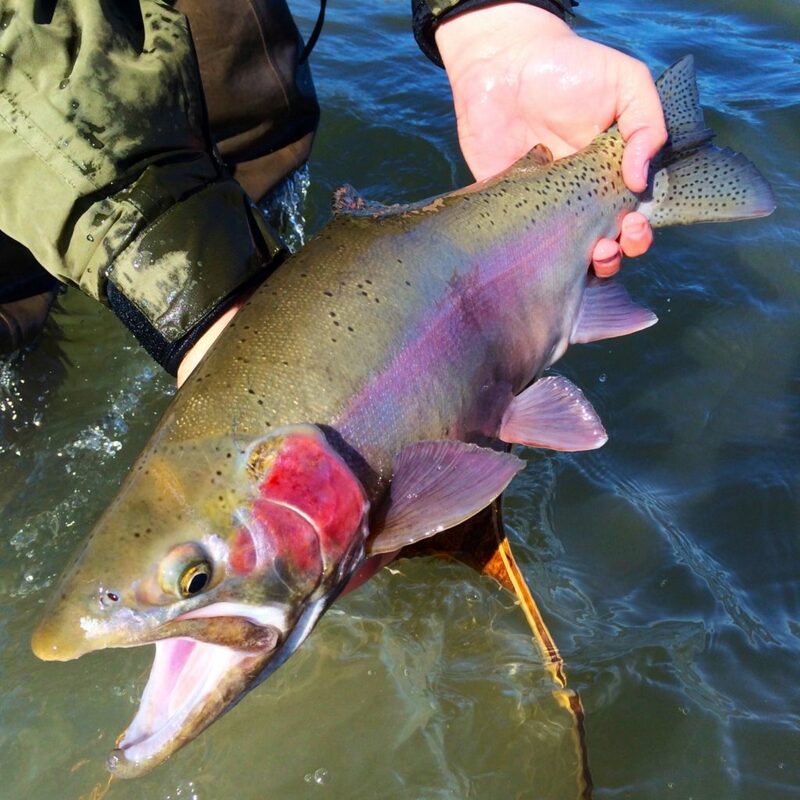 Once a season we catch a fish like this – 11 pounds – are you next?